It is time for you to get up and enjoy this entire day of Romance ! 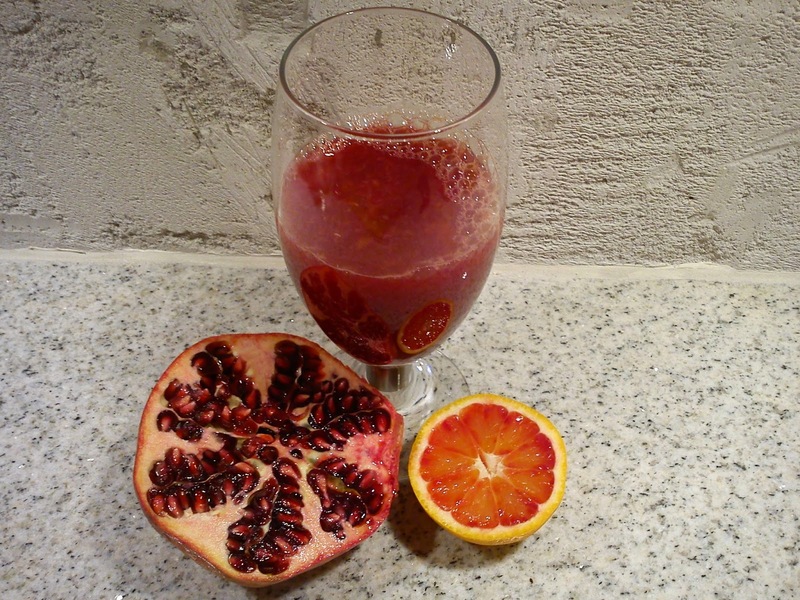 The day begins with this juice having the colour of LOVE :-) using two of the fruit being in season right here and now - pomegranate and blood oranges ! Perhaps you should enjoy this glass of juice together with Sweetheart Yogurt ? Cut the fruit into halves. Squeeze the fruit halves for their juice. Mix the two fruit juices together.